I have already written, well ranted, about our so-called National Security laws a few times in the past. The whole raft of them are draconian and unnecessary, a solution to a problem that does not really exist, yet limits our Freedoms and Civil Liberties for no proven result in fighting the so-called “Death Cult” that our PM and his Government love to flog like a dead horse, with the cringing Opposition meekly playing follow the leader, in sheer terror of being wedged on the holy grail of “National Security”. 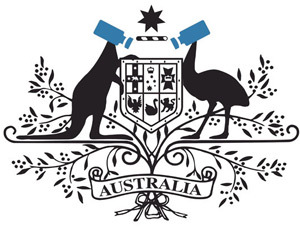 By the way “What Metadata Retention looks like: Prepare to be shocked” is a must read if you like many Australian's aren't quite across the Metadata lingo. 30 Sep 2014 Picks battles? WTF! @billshortenmp you didn’t even bother with a ‘skirmish’ to protect Australians? 02 Oct 2014 So… You trust George Brandis? But the National Security roadshow goes on... Facts, evidence, they are silly things this Government doesn’t really care about, we now have *Drumroll Please* the Data Retention Bill or “Telecommunications (Interception and Access) Amendment (Data Retention) Bill 2014” hitting the news. That pesky Metadata that both George Brandis & Tony Abbott struggle so hard trying to explain to people – envelope something... An ex Police Whistleblower disagreed - “Metadata regime open to abuse: insider” but what the hell would an ex security type who uses & accesses that metadata know? PFFT! We must trust..., Trust our illustrious leaders, they need to scrape it all up, all of it, all our Metadata and let our security agencies have a free for all to keep us safe from the Death Cult. Well, they are making the Telco’s save it for two years so the Security agencies can grab at will. Actually, sorry, not just Security Agencies, they also think other agencies like ACCC should have free for all access to it – yeah, ACCC has been at the fore front of the Death Cult fight. Haven't they? Oh Hang on... It can also be accessed for restricted use in Criminal cases – if a/the security agency already have it, why would another Criminal Case need it? Oh silly me, Multi-Nationals might need it to prosecute illegal downloading, we all know how the odd Game of Thrones or latest Coldplay song gives aid and comfort to the Death Cult? Don’t they? Oh and don’t forget the odd “Civil Proceeding”, yes, our Uber powerful Attorney-General, Mr George Brandis, can at his discretion – which we all know is totally above board & not swayed by commercial or ideological nonsense – can also allow? Oh, maybe that is the illegal downloading? We can trust Mr Brandis 'discretion' can't we? Just ask Gillian Triggs for a testimonial? And what about us, the millions of Voters, the silly punters? How is Joe Blow & Jill Dill being protected? I don't mean from the Death Cult, I mean protected from our own Government, this Government and future Governments from the Government overseers and the potential uses or abuses? Our Government has already decided the saving of our all our Metadata will keep us safe from the Death Cult, but what about the Opposition? But what about us asks Joe Blow & Jill Dill? Where will your precious data be held? Well, we don’t know that either, though odds are it will be the cheapest cloud service around, let’s hope it is safe from hacking huh? I mean you are most likely paying for it? Well since you are paying for your metadata to be stored, guess you can access it yourself if you needed to? Not sure why you would want to, but hey, you are paying for that storage? Oh, sorry, not sure about that, PJCIS thinks you should be able to, but you know, too many requests, the stress... Maybe the Telco’s might be kind and let you PAY to access your own data? Our online life – if you are unsure how much of your online life, check out this “What Metadata Retention looks like: Prepare to be shocked” will be scraped up and saved, at our cost, for others to use, but we may have to pay to be able to see our own data that we are paying to be stored? Make sense to you? Coz Death Cult!! By the way, let’s just ‘trust’ that none of the myriad of Security Agencies, Government Agencies, Civil or Criminal Courts and the participants of those courts, will misuse, abuse or even just be bloody incompetent and allow it to be hacked, or accidentally emailed to the wrong recipient? What is there to worry about? Bill Shorten our fearless Opposition Leader will make sure we are safe – safe from our Government – he will protect our interests won’t he? Oh wait... Bill shafted us on the last National Security laws, picking his battles? Oh wait... Bill didn’t mention us dumb punters in his presser today, just journo’s & cost? Oh wait... Bill wants to keep us safe from the Death Cult – OK sorry, I have to laugh out loud now – the biggest threat to citizens in this nation is actually family violence, but you most likely won’t be able to access your own or a dangerous family members metadata, coz, well yes, 14 deaths so far this year from Domestic Violence is ‘regrettable’, but but but Death Cult! For once Bill, I dare you, prove me wrong? Prove you can be a real Opposition Bill. Prove you actually do represent the poor bloody punters that are being well and truly screwed over by this and previous National Security legislation. Prove that the bipartisan Joint Intelligence and Security Committee report is not quite so joyfully bipartisan as was inferred in the press conference this afternoon? Take Bill at his word, please contact Bill Shorten, Hell, give it a read hot go and email or phone the lot of them to see if you can get them to stop this? The Pirate Party have been fighting this for quite a while, so check them out too and support them – gotta love that new coat of arms the Pirate Party have, pretty spot on, sadly. This video particularly blows the "Those with nothing to hide have nothing to fear" theory out of the water "Glenn Greenwald: Why privacy matters"
The Conversation looks at the The Parliamentary Joint Committee on Intelligence and Security (PJCIS), Expert panel: metadata retention report good points raised, though not enough details for mine. Felicity Nelson of Lawyers Weekly sums up the submission by the Law Institute of Victoria (LIV) in "Data Retention Bill should be scrapped"
The Conversation has done another piece with more the 'legal' aspect in mind "We are all suspects now thanks to Australia’s data retention plans"
This one by Stilgherrian on ZDNet is beyond a joke, "Australian lawmakers can't use phones, will vote on data retention" MP's making laws for us, like these seriously over-reaching surveillance laws can't even use their own phones? How the hell can people make laws that are complicated & far-reaching as these Data Retention ones when they can't tell the difference between hacking & pranking on their iMessages? Any other links that come to hand that will assist in stopping Data Retention I will add here, of course, feel free to toss in any extra you are aware of in the comments below too please.